The owners of this fantastic mid-century home, designed by the famed Victor Hornbein, asked me to help put the finishing touches on their home. Isn’t this living room fantastic? The owners had the sectional sofa—from Holly Hunt, which they found at a consignment shop in Vail! (Can you believe it?) 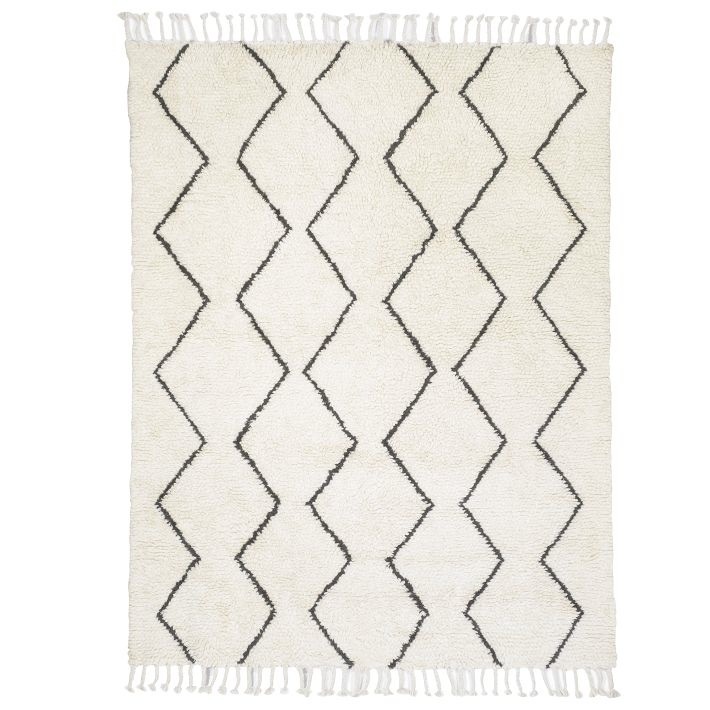 We found a rug at West Elm to anchor the furniture area, and then added the chevron poufs and little silver pedestal, also from West Elm. 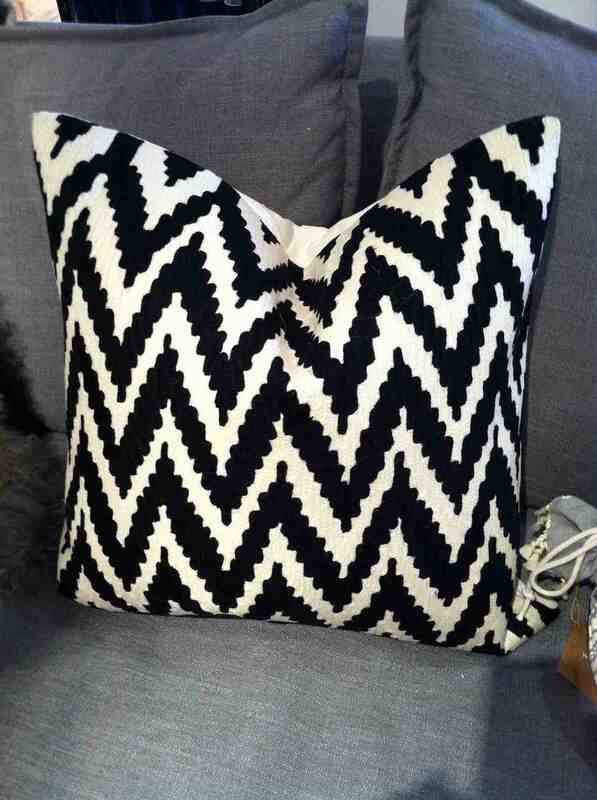 The Jonathan Adler pillows add a bit of geometric pattern and color. The key to a space like this is being selective about how much bold pattern you use: We knew the contrast in the chevron pattern and the bright pillows would brighten the space without overwhelming the subdued pattern. And with gorgeous details like the birch ceiling and stacked flagstone wall, this room didn’t need a lot of flashy elements. Every city and town has a few retail treasures, places where residents know they'll find just what they're looking for (or just what they never knew they always wanted). One of my most favorite places in Denver is The Lark, a wonderful store in the Country Club area at 4th and Downing. 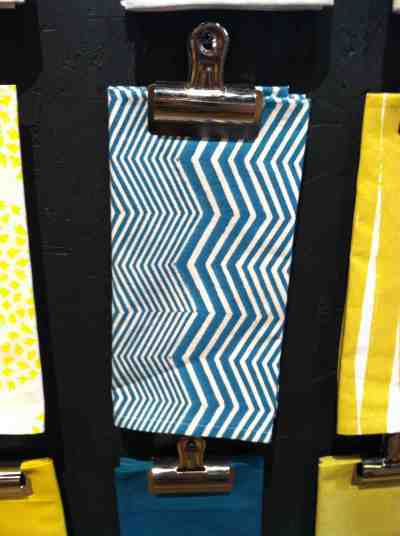 I popped in this week and found a treasure trove of geometric patterns! What about you? Do you have a favorite hometown shop?